Organizing, managing, sharing and tracking documents is a difficult task and constant headache for many organizations and employees. However, SharePoint, Microsoft’s all-purpose SharePoint collaboration tools, help to organize, share, track and manage documentation and streamline business processes effectively. SharePoint 2019, Microsoft’s latest iteration, comes with brand new features committed to helping users and SharePoint 2019 Developers who operate within on-premises and hybrid scenarios. 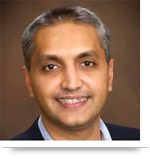 According to a study, many businesses are still running on-premises i.e. company-owned data centers. Microsoft SharePoint 2019 aims at improving the SharePoint experience for such users. Nowadays, many enterprises are looking forward to using SharePoint 2019 to enable their workplaces with some smart content management, communication, sharing tools and intranets. The latest version of Microsoft SharePoint offers a new and modern design, which is optimized to work seamlessly across any screen – a smartphone, tablet, laptop or desktop. It offers quick access to content, people and apps you are working with the most while spending less time n searching the information and configuring settings. Using cloud as the baseline for SharePoint 2019, Microsoft is offering seamless collaboration and communication experience to the users. 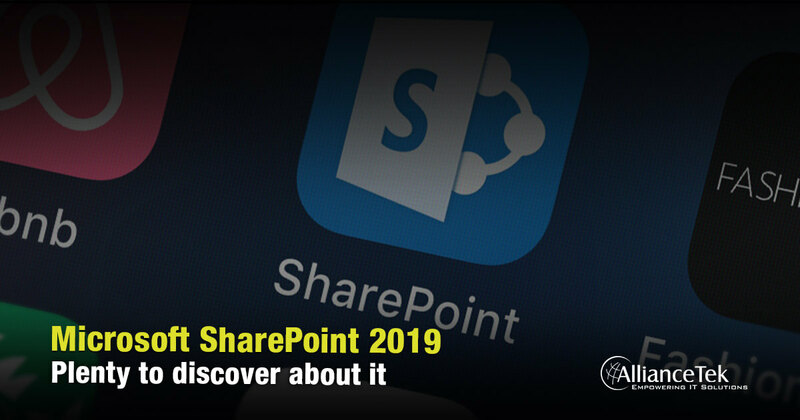 Microsoft SharePoint 2019 is a modern collaboration platform that offers greater accessibility, performance, notifications, reporting granularity and APIs for any business process to transform. Some key features of this new version include Team Sites, Communications Sites, NGSC (Next Generation Sync Client) support and Lists & Libraries with data mobility for quick and reliable access to user’s documents anywhere, anytime. The team has made an important investment in creating a vibrant user experience, familiar to SharePoint Online, by overhauling and aligning the OneDrive and SharePoint. The modern user experience of SharePoint Server 2019 is designed to be responsive, mobile, flexible, compelling and easier to use. The new home screen provides all the news and sites related to users in one central dashboard, similar to Office365. The homepage allows users to navigate seamlessly through their intranet while providing a personalized view to all team news. It is the launching point for SharePoint Users or SharePoint 2019 Consultants to build new sites on a self-service basis wherein you can develop new sites in a different web application, no matter whether the application is hosted on a remote farm or local farm. The improved communication site is great for sharing news, displaying info or relaying messages to people in an organized way. The homepages are reconstructed to improve the visibility of collaborative tasks within a team site. This SharePoint 2019 feature brings a similar experience to SharePoint online. It provides users with better control to access, share, and collaborate with structured data. The latest version of Microsoft SharePoint 2019 supports a modern yet simplified sharing user-interface where users can enjoy the flexible sharing capabilities i.e. you can easily share links, data and other content with others. SharePoint 2019 features OneDrive Sync Client support for personal as well as team sites including files on demand. It also includes a push notification to assist in creating a reliable sync experience. Earlier, this feature was available only in the cloud version, however now on-premise users can also access it in the hybrid environment. Communication sites are the best place to broadcast a message, share news or showcase a story. The latest version of SharePoint comes with new and improved communication sites that feature new web parts to simplify the process of sharing important news or updates. These web parts include Microsoft Forms, Planner, File Viewer, Group Calendar and Twitter. When it comes to user experience, collaboration and overall capability, SharePoint 2019 is definitely a significant product by Microsoft, which will offer great benefits in the business environment with improved accessibility and efficiency. In SharePoint Server 2019 Site creation is very fast as compared to SharePoint 2016. SharePoint Document Management Solutions in 2019 edition supports storing files up to 15 GB in SharePoint document libraries, which was 10 GB earlier in SharePoint Server 2016. In the latest version of SharePoint now we can use # and % characters in file and folder names, so it completes support for all valid Windows file and folder name characters. Maximum file path length limit is increased from 260 characters to 400 characters in the new SharePoint version. The file path means everything after the server name and port number in the URL which we type. It also includes the name of the site and subsites, document library, folders, and the file itself. Increased limit makes it easier to sync deeply nested content from personal storage devices to SharePoint. Users can now restore items that they have deleted themselves and items that other users in the site have deleted. They will need edit permission on the deleted items so they're visible in their SharePoint recycle bin. In Microsoft SharePoint 2019, Visio Services accessibility increased with high contrast displays, keyboard navigation, and Narrator. New shortcuts includes: We can use Alt + R for moving focus to Comment pane, Also for Moving focus to Shape data pane we can use Alt + S and To move focus to Canvas we can use Alt + C.
Call 484-892-5713 or Contact Us today to get more details about Microsoft SharePoint 2019 Features.